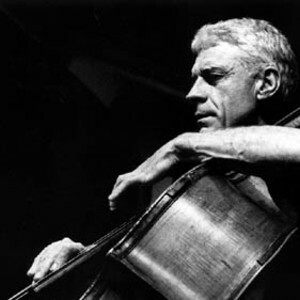 Gary Peacock (born 12 May 1935 in Burley, Idaho) is an American jazz double-bassist. After military service in Germany, in the early sixties he worked on the west coast with Barney Kessell, Bud Shank, Paul Bley and Art Pepper, then moved to New York. He worked there with Bley, the Bill Evans trio (with Paul Motian), and Albert Ayler's trio with Sunny Murray. There were also some live dates with Miles Davis, as a temporary substitute for Ron Carter. After military service in Germany, in the early sixties he worked on the west coast with Barney Kessell, Bud Shank, Paul Bley and Art Pepper, then moved to New York. He worked there with Bley, the Bill Evans trio (with Paul Motian), and Albert Ayler's trio with Sunny Murray. There were also some live dates with Miles Davis, as a temporary substitute for Ron Carter. Peacock spent time in Japan in the late 1960s, abandoning music temporarily and studying Zen philosophy. After returning to the United States in 1972, he studied Biology at the University of Washington in Seattle, and taught music theory at Cornish College of the Arts from 1976 to 1983. In 1983 he joined Keith Jarrett's "Standards Trio" with Jack DeJohnette (the three musicians had previously recorded Tales Of Another in 1977 for ECM Records, under Peacock's leadership). The trio continues to perform and record all around the world. Playing together for nearly 25 years now, Jarrett, Peacock and DeJohnette have developed a reputation as one of the most preeminent jazz trios of our time.